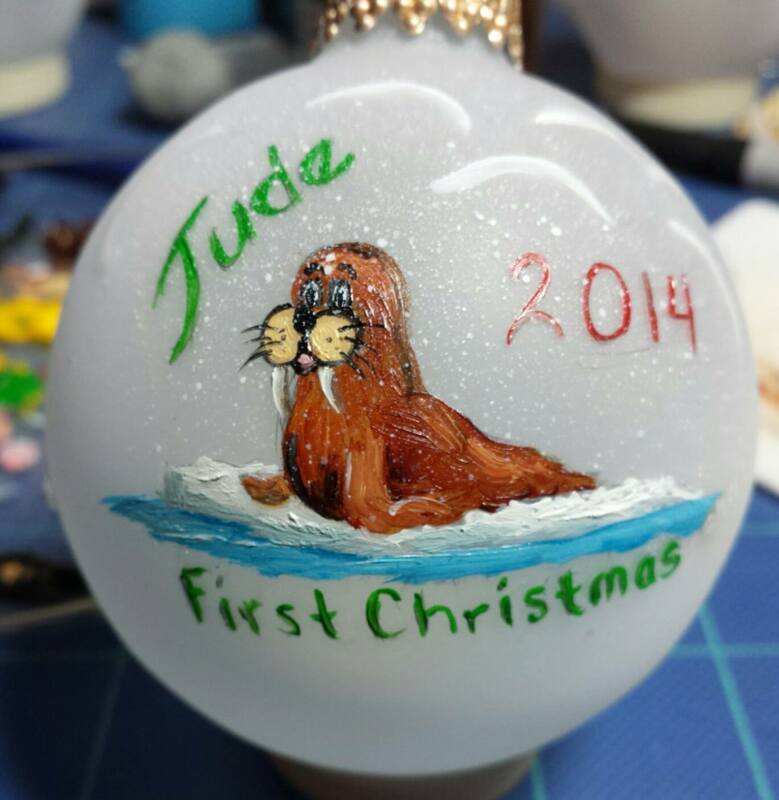 This is the time of the year when I go “blog silent” until all the ornament painting is complete for the 2014 season. I will start with a fun one… for little Jude, born in a snow storm last winter. 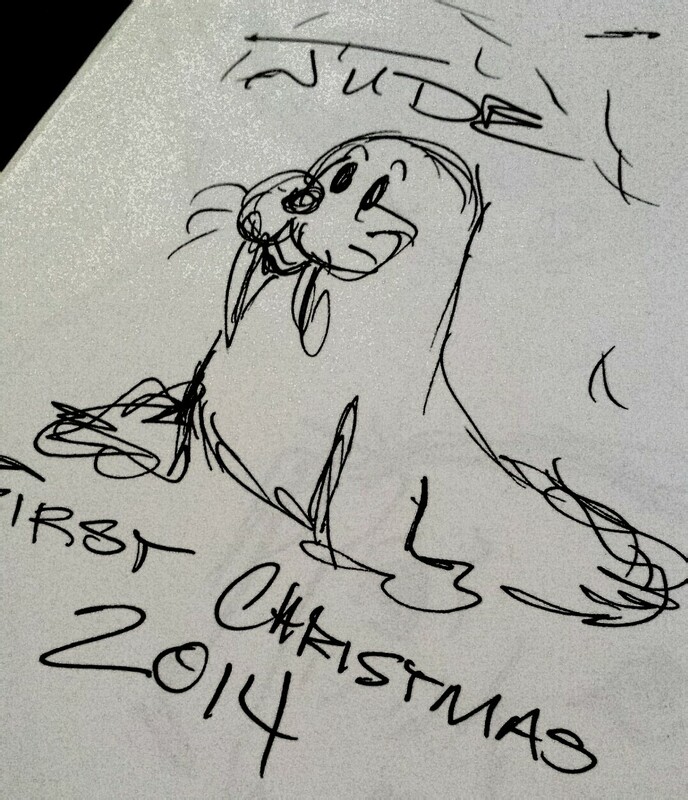 This entry was posted in Client Work and tagged Christmas, oil, ornaments, painting, walrus. Bookmark the permalink.